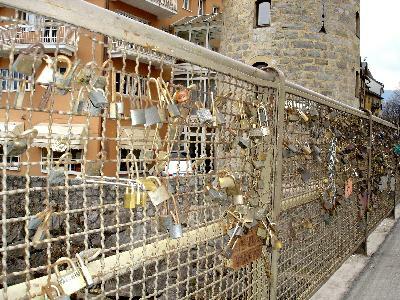 In Brunico, a town nearby, there is a bridge over the Rienza river with hundreds of padlocks on its railing. We thought these had a romantic meaning: love pledges or "lost loves locked into ones heart". The guy at the gas station had the answer: Up 2004, there was a military camp in Brunico where youngsters came for their military service. After finishing their tour of duty, it was a tradition to hook the padlock of their trunk to the railing, and throw the key into the river. Originally, the Italian men drawn into military service, took a lock from their home and hooked it onto a monument or a structure, as a public vow to return back home. Some say, it was a vow to return safely back to their loved one.. In Florence thousands of young lovers attached their padlocks to the famous Ponte Vecchio bridge. 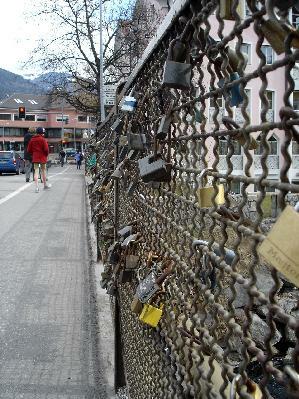 Back in 2006, the council set a team of metal cutters to work removing the 5,500 locks on the railings. It took them five months to finish, as new “lucchetti d’amore” accumulated too fast. Also in Florence, the city police has been told to slap a 50-euro fine on anyone who tries to attach a lock to the bridge. 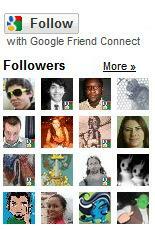 HELP: it seems that we have a worldwide padlock problem. Or is it a worldwide love problem? Luckily, in Brunico, the padlock problem was resolved by replacing the enforced military draft service by a 100% voluntary force. Clever people, those Italians! as far they pay the taxes also for people like you.... we think we are also very generous.... certainly with all that money saved you can enjoy posh holidays in italian winter special resorts... meanwhile our taxes have increased.. that's how life goes..
Mmmm would not exactly typify Kronplatz as "Posh holidays in Italian winter special resorts".. Shooting from the hip, are we? Ha! Kronplatz might be not as posh as St. Moritz, Cortina d'Ampezzo or Madonna di Campiglio... but that was not the point. With our donations we can work out for next year to give you the opportunity to go there. One more thing: too much hypocrisy on this blog: and that is not "shooting from the hip" (look at yourself first..), it's a fact. Enjoy your "false" aidworker life. Hey, I am an aidworker, that is my job, that is how I earn my living. About ten months per year. This does not mean I have to spend my personal life -two months per year- locked up in a cell, with ash on my head. I choose certain ways to spend my off time. I choose certain ways to spend the money I earn. I choose certain ways to spend the few weeks per year I can have with my family. Be it skiing, sailing or just laying on the beach, or being at home. Those are my personal choices. Nothing to do with the job I do. I stand for the things I do, be it in my personal life, or in my professional life. In full conscience and in full ethics. I hope you do too! PS: Cortina d'Ampezzo were nice ski slopes, but a completely old infrastructure, at least to the parts we went. Posh? Don't think so!